This initiative will enable the club to build on last season’s success of having 17 year old first team Goalkeeper, Joe Gauci, sign for Central Coast Mariners. 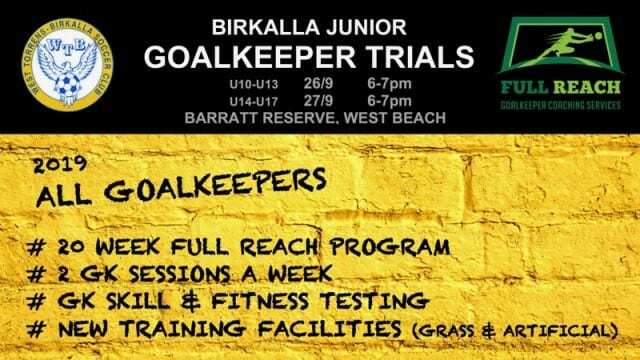 If you have your sights on a Goalkeeper career, then Birks and Full Reach will give you to tools to succeed. Opportunity to train on grass and artificial pitches.